TPL Trakker provides solutions to Rescue 1122 | TPL Trakker Ltd. The Punjab Emergency Service (Rescue 1122) was established under the Punjab Emergency Service Act, 2006 for the professional management of emergencies such as road traffic accidents, buildings collapses, hazardous material incidents, fires, disasters, etc. TPL Trakkers's Relationship with this leading Emergency Humanitarian Service Provider in Punjab started in 2008; the service provider needed a complete Trakker based solution to effectively monitor the fleet's performance and the optimization of operations. The biggest challenge for Recuse 1122 was to systematically monitor and record the activities of its fleet, to ensure the response time benchmark is achieved in every emergency attended. Live data availability was the reason to rely on manual information received. No track record of actual response time to emergency was possible since the staff lacked nearest vehicle information and best optimized route. This resulted in the increased wait time for patients. It was challenging when trying to achieve the benchmark without knowing which vehicle is ready for emergency, which is currently attending an emergency and which has completed the emergency. 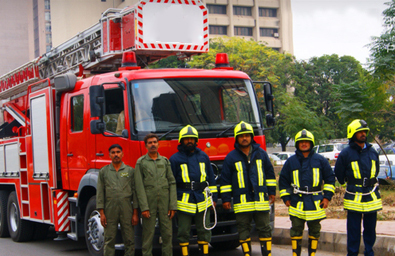 TPL Trakker’s services were acquired to help Rescue 1122 to achieve the service level bench mark, which is customized for Rescue 1122 according to the defined parameters. TPL Trakker came up with a solution combining cutting edge technology with real world practically. We provided live data feed dashboard, comprehensive emergency module, redesigned dispatch process, real time location of vehicles, live traffic updates, live location search, nearest available emergency vehicle information and navigation map route to the incident location along with live traffic updates, to help Rescue 1122 catering to the operations of its fleet in the most optimized way. A tailor made Trakker based solution designed exclusively for the Punjab Emergency Service (Rescue 1122) enabled them to monitor the fleet activities live and track the history of their fleet. The dispatch module supported by Punjab based digital maps helped the staff at Rescue 1122 to perform jobs in one window in a reduced amount of time. Record of emergencies helped Rescue 1122 to investigate and resolve any public complaint of delays in the arrival of a vehicle. The Rescue 1122 management was in a good position to view and analyze the vehicle utilization, its handling by the driver and its consumption of fuel. To gauge the performance of each driver a “Driver Identification System” along with a review live report of each driver was provided, which helped the Rescue 1122 management to appreciate the performers and to identify resources that required counseling. Easy-to-use dispatch software “Go Emergency Dispatch” works with any modern web browser and any operating system. Dispatchers can record incident details, map routes to incidents, capture bikes/ambulances/fire response information, provide directions to driver, view the incident’s physical location online using Google Maps, generate reports and track fleet location in real-time via GPS. (admin and district level). Digital maps of Punjab includes navigation across cities, online submission of GIS queries and responses, street mapping information, POIs, information or navigation, hydrological features and canal information, admin panel for integration of landmarks and emergency locations. The interactive Map has a built in feature to precisely zoom into level of district i.e Lahore, Sialkot to get specified driving location identification instead of just an address on the map. Looking for a trakking solution?